Race through stunning environments with beautiful new graphics, each with their own gameplay experience. 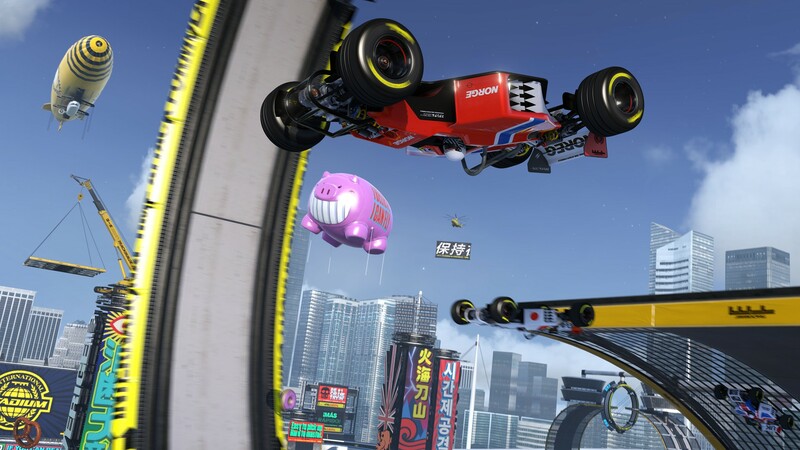 PLAY TRACKMANIA TURBO IN VIRTUAL REALITY! Easy to learn, hard to master, enjoy immediate fun on your own with Trackmania, or challenge your friends at home or online! 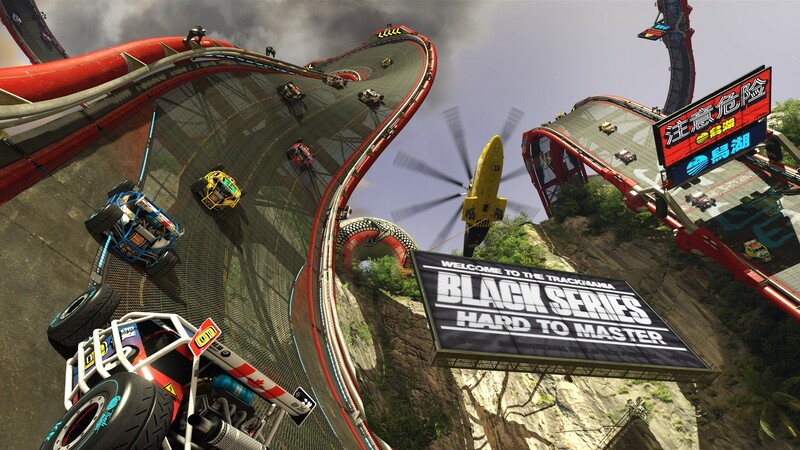 Highly replayable, Trackmania can provide you with a diversified gaming experience by blending arcade-style racing with the perfect track building toolbox: thanks to the revamped and easy to use Trackbuilder, you will be able to design an infinite number of outlandish tracks. 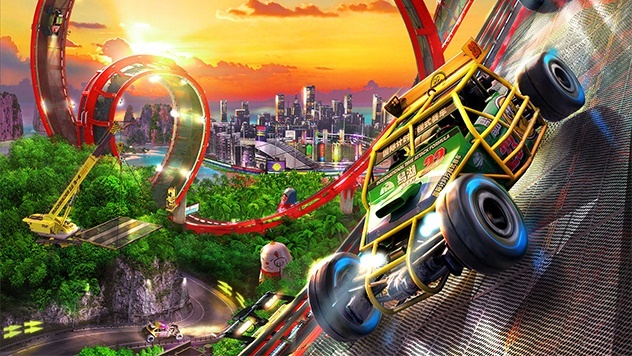 Race on the 200 head-spinning tracks included in-game, set in 4 beautiful environments, each with their own gameplay style. Join the community online and enjoy a virtually infinite number of new tracks created by the other players. 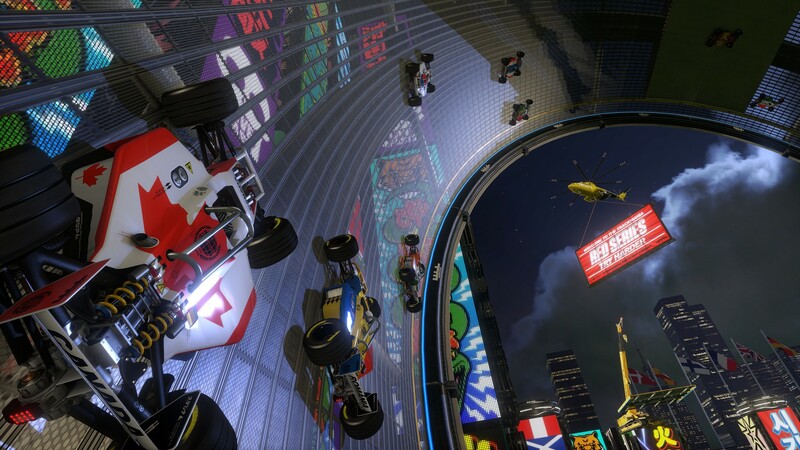 Players of Trackmania Turbo can now experience something they have never seen before: intense speed and a driving sensation as if they were inside the vehicle. 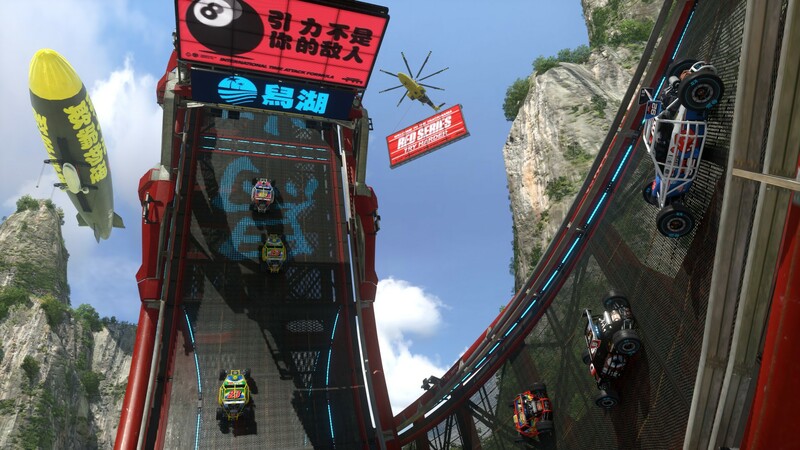 Through 40 exclusive and free VR tracks in Arcade and Campaign modes, players will enjoy the spectacular jumps, loops and wall-rides of Trackmania Turbo, specifically redesigned to make the best use of virtual experience. 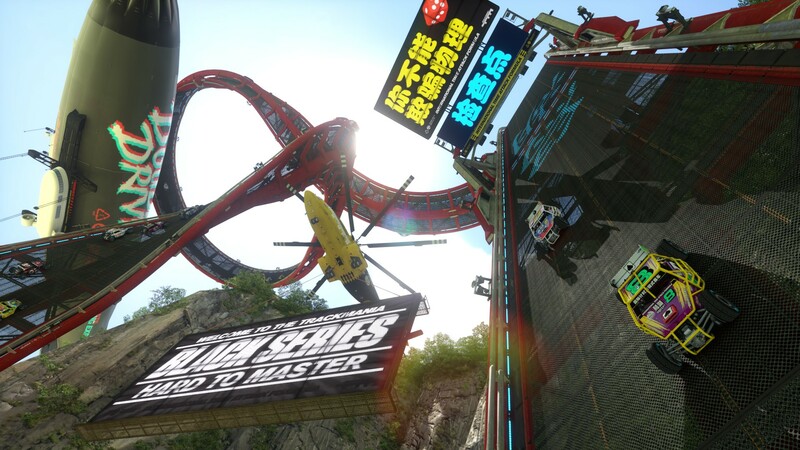 Get a taste of the fun & madness of Trackmania Turbo with the free trial version available for all on PC, Playstation 4 and Xbox One. Enter the Campaign: Discover the Canyon Grand Drift environment through 5 maps. Record Center: Race against your friends' best score ghosts, even if they only played the trial version (only on the same platform). Local Multiplayer: The HotSeat mode will allow you to play with 2 to 16 friends locally when you combining it with the Double Driver mode. Trackbuilder: Discover the satisfaction of easily building your own track with the Trackbuilder (only in beginner mode). Online racing: Play online for 1 hour on the Canyon Grand Drift servers with up to 100 simultaneous players. Scores and Tracks will be carried over to the Full Game. POWER-UP YOUR EXPERIENCE ON THE WEB! 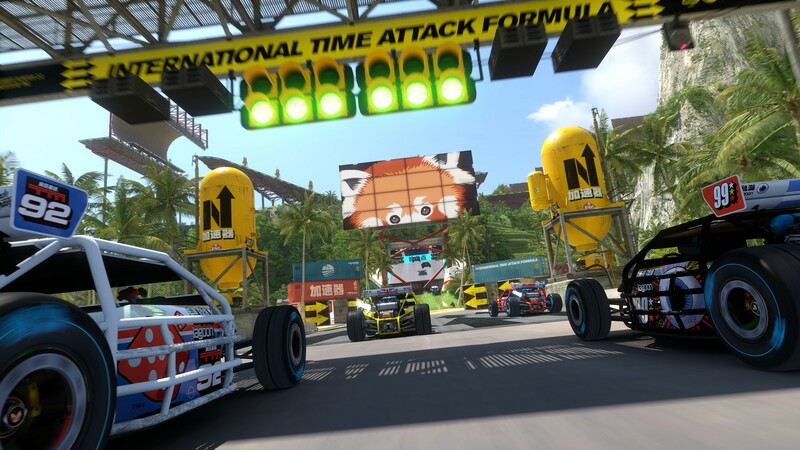 Thanks to the Trackmania Turbo Center, you can get more control and information about your progression, your creations and player’s creations into the game for each platform: PlayStation 4, Xbox One and PC. First you can find information about your profile: your ranks in each area, the number of players following you and your Super Score. You’ll also be able to quickly see the status of your online rooms on this page. 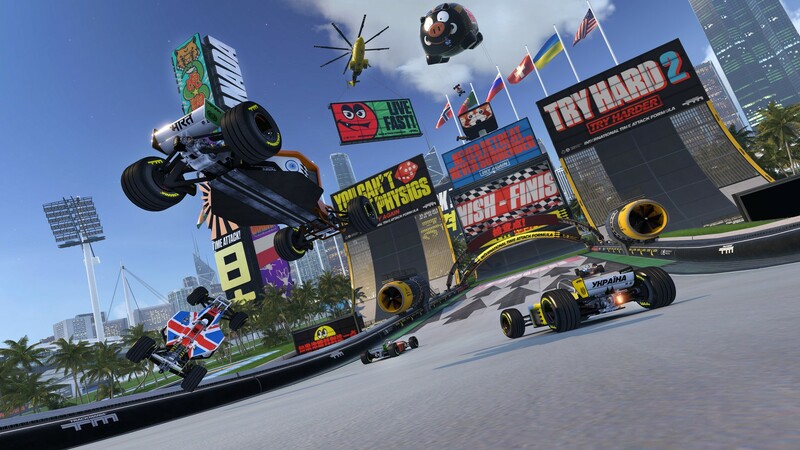 Play Trackmania turbo trial version in virtual reality ! 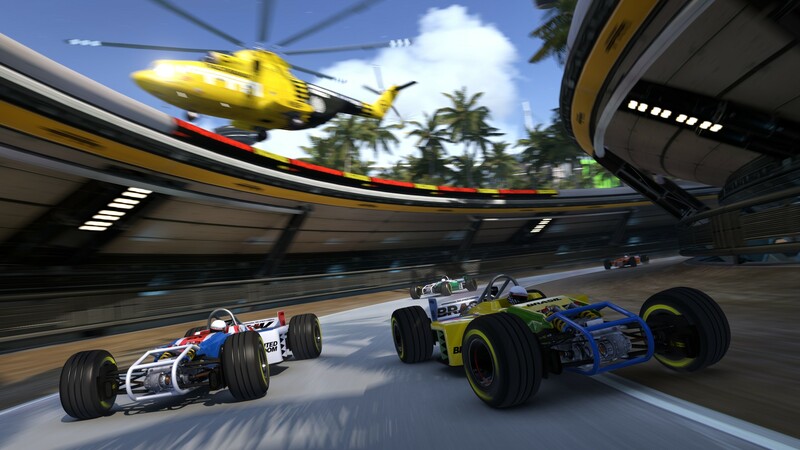 Trackmania Turbo – The more drivers, the merrier !